"We put out about 12 bags of Persist on our horse farm. We planted in the fall and it came up beautifully. We just Hunterpointe purchased 14 more acres ... We will probably plant Persist this fall on the new property and put a little more on the original farm. Even with our high demand, our feed costs are down per horse.This is the only picture that I have. It was early spring at the farm. You certainly can use anything that I said. I look forward to being a customer for many years to come!" "We planted the first 10 acres in the dust in Sept. '05 and another 16 acres in fall of '06. These paddocks have yet to see a "good" growing season. We have grazed all five paddocks pretty hard. We likely will renovate about one-third of this stand next fall. Cattle do very well on this grass but the continued drought has lessened the yield we would have expected. We will continue to plant some Persist on additional land as it comes available. I would be glad to share my experiences with Persist at any time." "I know 2 particular farms where Persist was seeded with MaxQ fescue for grazing and these fields look excellent and animal performance has been good." "It survived drought of '07 very well so it should be able to handle anything." "Animal performance was similar for Persist orchardgrass and Jesup MaxQ tall fescue." "I cut my plot this past Memorial Day weekend & 5 acres made 51 rolls 5x4 in size. Persist is the only Orchard grass for me, planted it in the Fall of 07, worst drought here in 30 yrs during the summer of 08, Persist suffered from lack of water but held the stand well & now is producing awesome hay for me. I am sold on it ! I won't ever sow anything else." "Suckling kids performed well when fed only on these two forage species (Persist and MaxQ) under controlled grazing management." "I’ve been very please with the performance of the grass thus far despite challenging weather conditions." "It has done really well, planted 55 acres 2 years ago and is doing well. I put a lot of clover in it originally, about 4 lbs to the acre, which helped it get a good start. I used about 12 lbs of Persist with about 4-6 pounds of annual rye. The Persist has pretty much taken over with about half the clover this year. I let about 30 acres go to seed this year, wet weather kept me out of it. It is not spreading as fast as I would like it to, but guess that will come in time. But all in all, I have some dandy pasture." "Persist is exactly what it claims to be. Used Benchmark and rarely got more 'n 4yrs from it. Planted Persist when it was first available approx 4yrs ago (I followed its development in TN.) The first planted here is still doing fine. I traveled to a seed co. in south central VA.(to buy it)… twice i've bought and planted about 40acres. A fine grass for the midsouth." "The grass is doing fine. I planted it in a drought in the fall 2007. After it rained, it came up well. It is doing great for less than 2 years old." "We planted horse pasture with Persist. The Persist came up great. The horses consume it readily." "I purchased several hundred pounds and mixed it with fescue and everything turned out just fine. Horses love it and I’m getting ready to turn some sheep loose on it." "Several farmers here have and the stands are doing very well so far." "I planted about 40 acres, and have been very pleased thus far. I bought the seed from Seeds Inc. in Memphis. I just baled about 1500 square bales." "We are developing an alpaca farm in NW NC. Our pasture is on land reclaimed from second growth forest. We seeded a 50/50 mix of your Persist and MaxQ Fescue...on the recommendation of the Ashe County field agent. He spoke highly of the drought resistance of your grass and the endophyte modification of the MaxQ.... We are very happy with your grass and look forward to having our alpacas grazing on it. We are happy to answer any specific questions you may have." "As you know, the N.C. drought of 2007 went down as one of the most if not the most severe drought in N.C. History. During the drought, we DID NOT water this plot. I thought the orchardgrass was as good as gone---I estimated a 50% stand loss. We did not fertilize in the fall---there was no need to---too dry and it appeared the stand was almost gone. I applied fertilizer this spring (early March '08) and used 2,4D to take out the winter weeds(chickweed). Now it looks almost as good as it did right after I planted it in the fall of 2006. It appears that the "clumps" spread out and filled in where the grass had died or it may have come back from the roots and only appeared to be dead on top---not really sure but it does look really good after one of the most severe droughts in N.C. history." "I looked at one of the two Persist Orchardgrass plots I planted here in Alamance County (Burlington, N.C.) in the fall of 04. The field had a lot of volunteer (not a Tennessee Variety Ha!) rye grass in it. However, the Persist Orchardgrass looked good. The stand was thin but what was there looked good. On the other hand, another variety of Orchard Grass (Benchmark, I think) was planted at the same time with the same drill on the same land but in a different plot, was non existent. The rye grass had completely over taken that variety. Currently, we are experiencing a mild drought so it should really put the Persist to the test. I have another plot of Persist that is being grazed that I have not taken a look at since late winter. I will let you know about it after I get a chance to look at it." "I visited the other test plot of Persist Orchardgrass where it is being grazed and quite frankly--abused. But that is the reason we put it on working farms to see how it will exist in the real world. It is doing very well in spite of a mild drought this spring and some yearling bulls grazing on it during the winter after it was established in the preceding fall. One interesting note, this plot is directly adjacent to a field of Max Q fescue---the cattle are hardly touching the Max Q but are grazing the Persist really hard. This was observed during the first week of July and we don't expect cattle to graze cool season grasses very hard in the heat of summer, especially fescue, because they move to native bermuda grasses, crab grass, etc. But in this particular plot they were readily grazing the Persist." 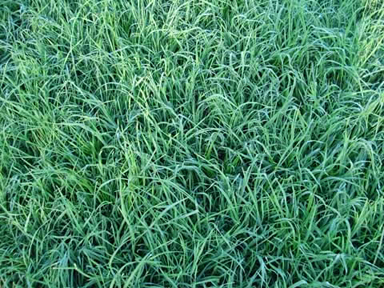 "We have shown that the Jesup MaxQ tall fescue and Persist orchardgrass are persistent under Tennessee grazing conditions, thus providing our beef producers with alternative forages to improve animal performance."